Here and there light from a front porch spilled onto the road. Still, as he looked up, the trees took on sinister shapes. When the wind blew, a giant oak looked like a three-armed monster reaching out to grab him. And there was just enough of a crescent moon to show the filmy clouds hovering spookily in the sky, veiling the stars in a gossamer shade. Adam shivered and turned on his flashlight. He felt like it was Halloween. Zeph, on the other hand, was not afraid. His nose took over so that the darkness didn’t bother him. “You’re braver than I am,” Adam admitted as he shined the flashlight at the oak — just to make sure it was still an oak. With that, Zeph let out a long, low groowwwl. “What is it?” Adam gulped. Zeph froze, his nose pointed toward the cul-de-sac. A moment later, Adam heard the shuffle-shuffle-shuffle of feet. Adam pointed his flashlight in the direction of the noise. A jogger dressed in dark clothing shielded his eyes from the flashlight. “Do you mind?” asked the jogger in an energetic — almost nervous — voice. “It’s the best time,” the man said hastily. Adam shone the flashlight again on the man, but the man covered his face. Adam pointed the flashlight once more at the stranger, but the man had already started jogging away. Stay tuned for more–contests, content, and fun–by clicking “like” on the Facebook follow to the right. 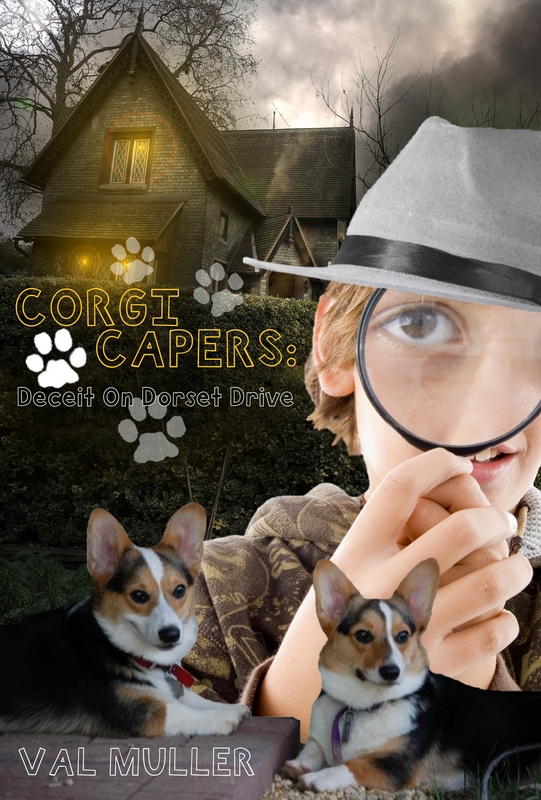 Posted on January 28, 2012, in corgi, corgi capers, photo, writing. Bookmark the permalink. 1 Comment.